Bahrain This Week had the opportunity to speak with Dr. Hanann Marafie and our conversation was proof of her dedication to provide the best of health services to Bahrain, in the field of Dermatology. 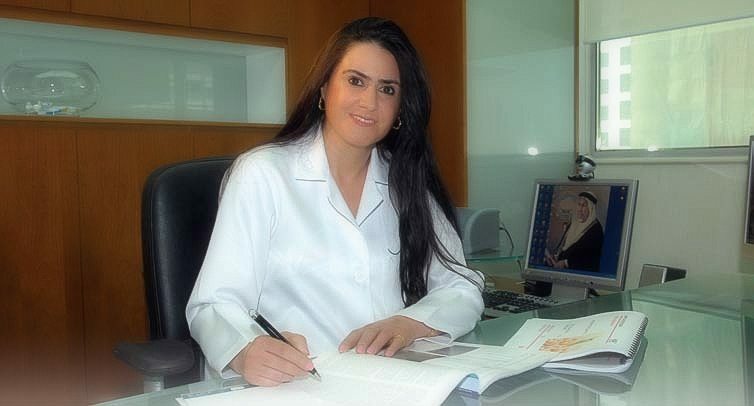 Being in this industry for the last 20 years, Dr. Marafie is considered to be one of the leading Dermatologists and Cosmetic Dermatologists in the Gulf Region. She has been paving the way for Bahrain’s Health Tourism for almost two decades and her clinic is celebrating its 10th Anniversary this year in the private health sector. Dr. Marafie has great faith in Bahrain’s strength and hence has never been concerned about investing constantly in her equipment and services, which provides additional choices for the modalities of treatment for advanced results. Her ideology believes in health tourism, quality service, high standard technologies and continuous education of doctors, nurses & the management. She also believes that Bahrain is a superb location and encourages people from around the region and beyond to come to the kingdom for their treatment. Marafie Clinic provides comfortable surroundings with a great atmosphere but more importantly, the clinic is very serious about maintaining confidentiality and privacy of the patients. Dr. Marafie gets satisfaction from seeing the end results and providing her patients with a variety of treatment choices, so her priority has been to make sure that patients are comfortable with the procedure that they are having. More importantl,y she establishes a good relationship with them. “Patient comfort and trust is the foremost priority at the clinic,” says Dr. Marafie. The road to success wasn’t easy, given the healthy competition in the medical field, but Dr. Marafie has reached where she is today by conquering the obstacles in her way. Not only did she strive to be a part of this field, but also improved her capabilities, aiming to be a leader in her field and always follow best practices under the roof of medical ethics. She thanks Bahrain Development Bank for all their support. “Without BDB I could not have bought all the latest expensive and high-end machines,” says Dr. Marafie. An added service at the clinic is the introduction of the online payment gateway in partnership with Credimax, and Marafie Clinic are the first clinic to have this facility in the Kingdom. It won’t be wrong to say that it is surely Dr. Marafie’s determination to be a pioneer in her field that has brought her vision alive and will continue to do so. Dr. Marafie says, “It is very easy to be successful in any field but it is not easy to continue maintaining the higher standard of services without continuous education and scientific updates.